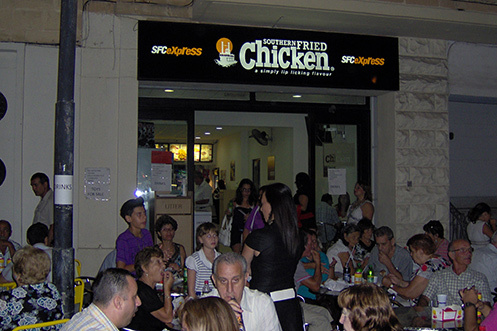 With successful franchisees across Europe, it’s easy to see why people choose to open their own Southern Fried Chicken branches. 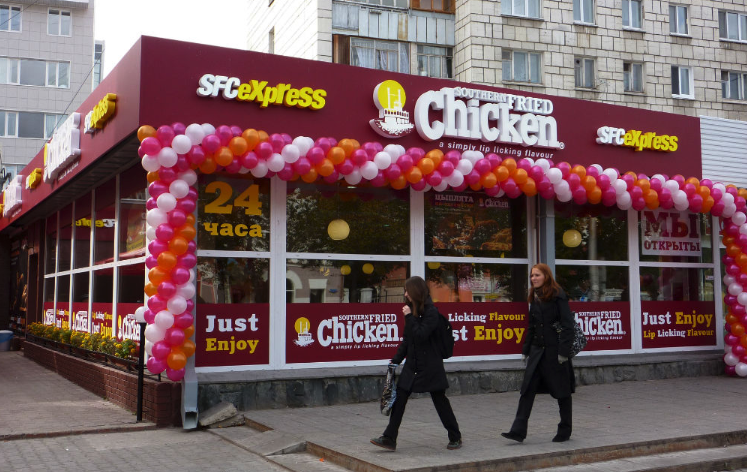 The largest single operator under the SFC brand is Russia’s Alendvic who opened their first restaurant in the city of Perm in 2000. 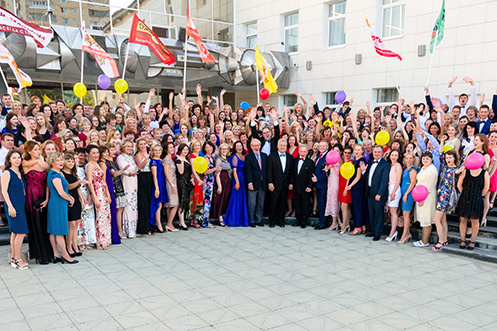 The principal Alexander Nikiforov has since opened over 30 SFC Restaurants in and around the Perm region and employs over 2,500 people in the company. The group started in 1993 with Kodak Express and after Baskin-Robbins was added in 1998, the partnership with SFC has since led to other brands being added to compliment the complete franchise offering with standalone pizza, coffee and sushi brands. 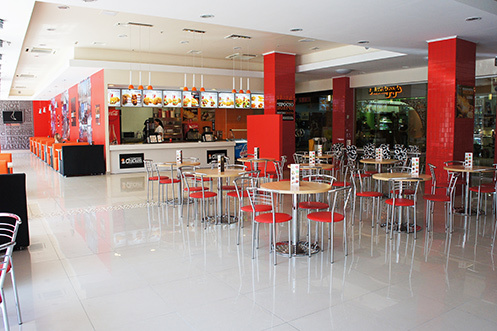 In some locations, such as the prime shopping malls, Alendvic actually provides all of the six or so food options with SFC centre stage. Alendvic have prime main street restaurants that seat 200 people as well as custom built 40 seat kiosk styles adjacent to main roads. 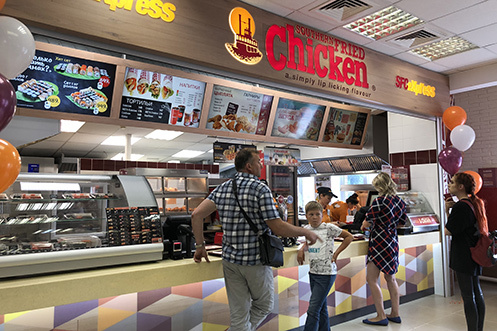 With plans to expand and open upwards of 10 new restaurants a year, Alendvic are on the brink of becoming a top five quick service restaurant in the whole of Russia with 75 company owned SFC’s planned in three years plus sub franchised locations. 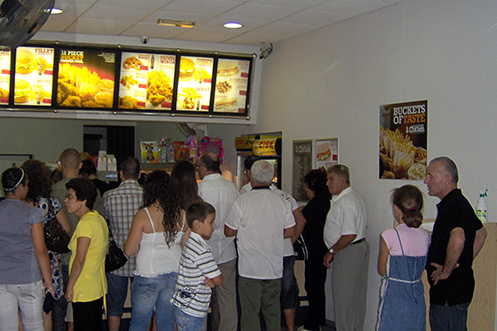 Since 2006 the Tajik company Food Master has had great success working closely with the dedicated support staff at the Southern Fried Chicken brand to supply the local population of 800,000 people in Tajikistan, with the world-renowned quality offer that has become synonymous with the Southern Fried Chicken franchise. Food Master started with just one location in the city of Dushanbe. With the success of the first store, they have since opened another 3 locations. With over 100 employees they serve 20,000 customers a month. This success has enabled their company to diversify opening other brands under their umbrella including; Baskin Robins and more recently creating their own fine dining concept offering Tajik and Uzbek cuisine. The success they’ve had is a true testament to what can be achieved with dedication to creating and managing a sustainable business. 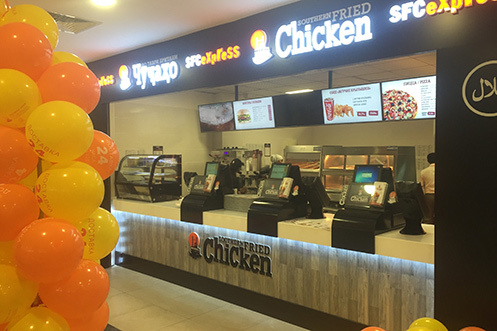 The Tajik company, Food Master, really got behind the ethos of Southern Fried Chicken and constantly try to improve both the experience for their customers and the atmosphere across their numerous locations. 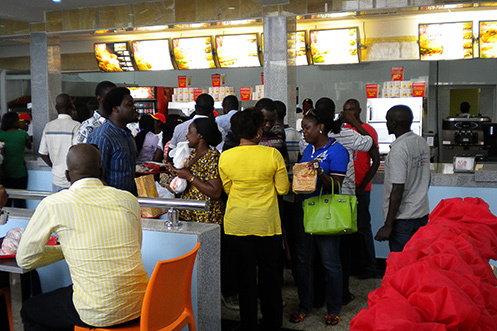 Southern Fried Chicken franchisee Enotie Edoigiawerie opened his first restaurant in Abuja, the Nigerian capital, in September 2003. His business has since grown by an additional 3 stores in Abuja as well as a 5th in Jos some 4 hours’ drive north, with a sixth location opening imminently. On top of these, Enotie Edoigiawerie has further plans to expand with subsequent locations opening in the Benin area. 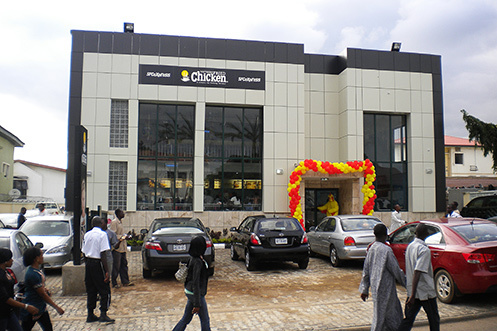 The Nigerian Southern Fried Chicken stores are on the larger side, some having a second storey dining area, serving up to 1000 customers per day with a variety of Southern Fried Chicken dishes, burgers, chicken sandwiches and even pizza, all of which have been specifically tailored to appeal to the local palate. In Abuja Enotie has the opportunity to serve a population of 780,000 and despite some tumultuous economic times in the African continent, Enotie has managed to thrive and grow. Across his 5 current locations he employs over 200 staff, with the day to day operations ably managed by Usman Johnson, Operations Director. Usman and Enotie are supported by the UK Southern Fried Chicken head office team who monitor the food standards, brand and marketing in all the branches, to help ensure both the success of the business as well as the great service which keeps customers coming back time and time again. Shortly after Zak Marstani arrived in the UK he knew he wanted to become a success in the food service industry. Through his experience working as a chef he had acquired a passion for quality food and learned that his customers not only appreciate the attention to details when it came to preparing and cooking the food, but also the personal interactions when it comes to service. In July 2008 he was able to open his first Southern Fried Chicken Franchise. His store is located on the busy Charminster Road and has managed to build a loyal customer base especially amongst the local school and university students. Zak has shown great dedication and an understanding about what makes a franchisee successful, growing his business year on year for the last 10 years through his passion for quality and a hands-on approach. Zak has also been able to expand his company and now owns an additional complementary dessert restaurant franchise. Saltanat Baidildenova has proved to be a fantastic franchisee starting with a single location in Kazakhstan, with a small investment in 2010. With the first site being such a great success, she quickly started to develop her growth strategy, with a second location the same year, which was promptly followed by a further site in 2011. Since she began in 2010, Saltanat now owns and runs five restaurants across the Almaty area. Her dedication to producing a high-quality product whilst maintaining high standards is a testament to her incredible determination to create a sustainable business that has longevity. Across Saltanat’s locations, she now employs over a hundred staff members, allowing her to oversee a highly profitable business. 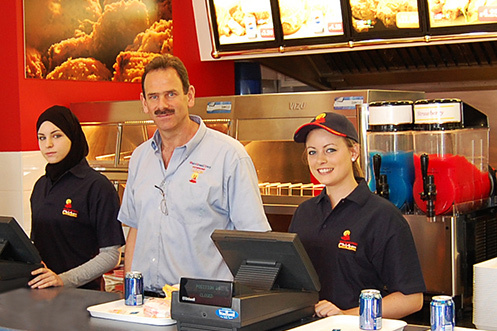 Keith and Marlene Psaila have been great examples of taking on board the ethos of Southern Fried Chicken by using a small investment in a small densely populated market, to generate big profit over a short time scale. They began their journey in 2010 and since then have grown steadily opening three locations, with a fourth in the summer of 2018. They have really taken hold of their business by identifying the need for local distribution, which has come in the form of their own importation business which feeds their numerous locations within the highly populated market. As a result of the growth they have experienced, they have taken on an area manager who assists with the day to day operations overseeing over fifty staff members, supported by Mahesh Patel the territory operation manager. Keith is now actively seeking a newly planned fifth location which he has ambitions to open as his first drive through location. We are proud to introduce one of our most recent additions to the Southern Fried Chicken family, Uuganbat Jargalsaikhan. In March 2017 he opened his first location in the city of Erdenet some 300Km north west of the capital Ulaanbaatar. 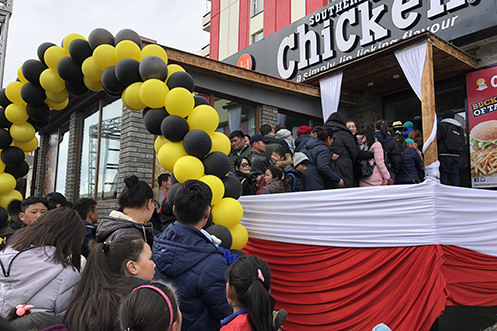 With a population of 120,000 Erdenet is the third largest city in Mongolia which makes it an ideal location for Uuganbat’s first Southern Fried Chicken store. Being a fairly large restaurant, seating around 80 people comfortably, the venue has become a social hub for the city, especially during festivals and public holidays. It is also being recognised as something of a ‘hot spot’ for the local children with many of them organising their birthday parties at the Erdenet Southern Fried Chicken restaurant. Children celebrate with their favourite Southern Fried Chicken kid’s meals followed by elaborate birthday cakes, some are even lucky enough to have a visit from our famous mascot Captain Cluck himself! 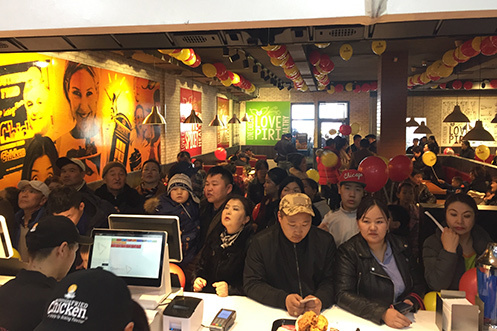 Franchisee Uuganbat Jargalsaikhan’s objective is to expand the brand across the country, including stores in the capital and some other smaller cities. Plans are already underway for his second location which will be situated on a busy shopping street in the capital city. Uuganbat studied in America and is well versed in fast food, a fact which he has put to good use his own Southern Fried Chicken restaurant in Mongolia. 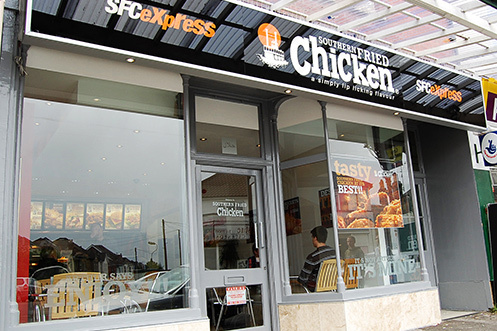 With his talent for people management and recruitment, he is on track to create both a profitable and longstanding business in partnership with Southern Fried Chicken.